There are only a few sneakers I like in this world as I’m a high-heel gal 99% of the time. But let me tell ya, I’m LOVING these DKNY Foundation Sneakers! 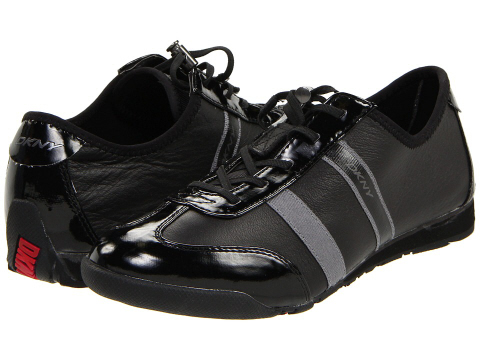 Not bulky or boring, thanks to a sleek leather upper and chic design. They look super comfy & light as well. 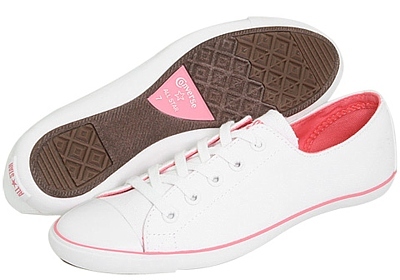 Available in black or gray/pink (I’m fixated on the black pair). I must find ways to get my feet in ‘em babies before the month is over (please leave my size 7 alone… hahaha). 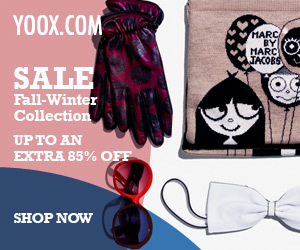 On sale for $60.99 $85 here or here, both with free shipping! I rarely wear sneakers… hardly. The only exception is during workouts of course. And you may ask, how about them sneaker pumps? Well, I can confidently say – never! Sneaker + heels… that’s is just not an appealing combo to me. The style should have stayed back in the 80′s and never comeback along with those hideous harem pants. This DKNY sneaker would’ve been much cooler without the heel. What cha’ think? Here is a funky pair with chunkier heels. Still hideous… no matter what style or color! 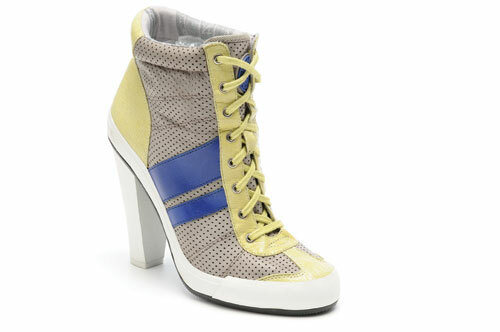 Would you ever wear or have you worn sneaker pumps before and what would you wear them with anyway? 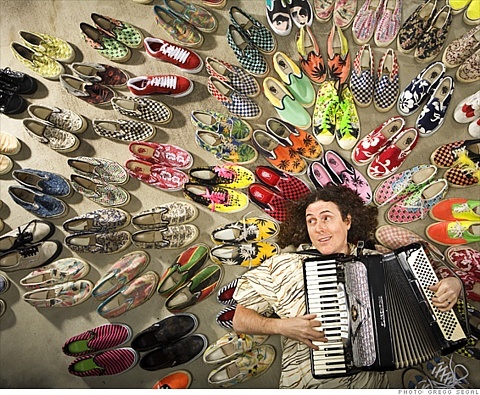 Evidently, “Weird Al” Yankovic has a shoe fetish – Vans shoes! He’s been collecting Vans since the early 80′s and owns about 100 pairs so far! Impressive! I wish I had that many shoes… but without the Vans! LOL! I love gold in terms of jewelry, certain styles of clothes from holiday dresses to tops. If the piece is designed right gold can really pop. Gold overall can really add a lot to your shoe and clothing collections. These sneakers remind me of something you would see in an 80′s Hip Hop video or something. 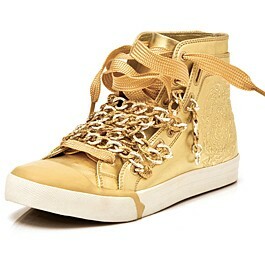 I’m not feeling the UES Nise sneakers that are supposedly chic. I just don’t see it! Let alone paying over $400 smackers for something this over the top. Personally I would rather go with the Black Leather or the Denim.